It’s Saturday once again, but it feels like ages since I last wrote one of my legendary rambling blogs (you just know you love them really), so I thought I’d type a little something to help ease the pain. However, not a lot has been happening lately, so this may be more rambling than usual. However! Yes, the beef chilli nacho pizza really is a thing, and you too can partake of it from a Tesco near you! It actually wasn’t that bad – the crumbled nachos went a bit soft from all the other stuff, so it was just like you’re average spicy meat feast-esque pizza, anyway. I’ve been enjoying the pizza for a while last week. How amazing is the ciabatta pizza, I ask you?! So amazing, I had it three nights running last week – that’s how! Anyway. This summer hasn’t been the best, for a variety of reasons, but I’m hoping that we’ll see some decent weather for September. I haven’t been out much for a while, it seems, largely because of the amount of rain we’ve been having, but we’ll see. I have a trip to Durham planned for the end of the month, so I’m hoping for sun then! 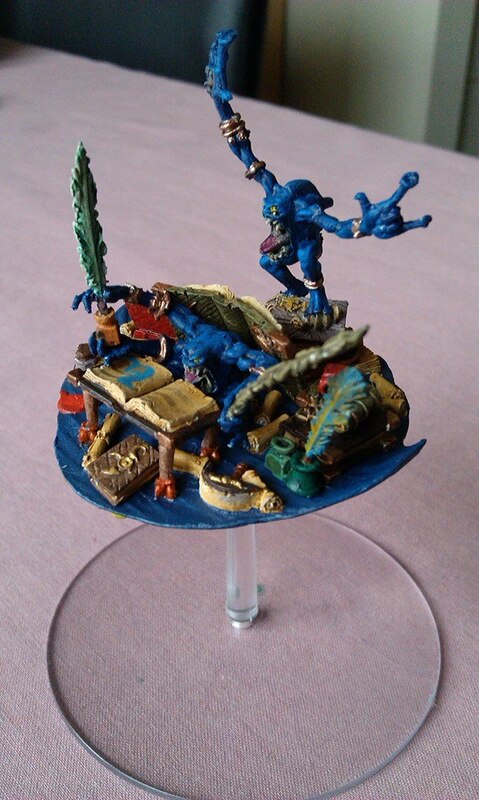 There has been quite the emphasis on Warhammer in my latest blogs, not sure if you’ve noticed that at all? Well, this is largely because I’ve picked an extremely interesting time to discover the miniatures hobby. The End Times have been going on for the past couple of weeks, with the return of the legendary Nagash to the Old World. Games Workshop distressingly has little in the way of social engagement with their customer base, beyond their website, so I’ve been collecting bits and pieces on my tumblr site, which you can find here. So far, there have been two models released, one for Nagash himself, and one that can be constructed in three different ways, representing his three lieutenants. I’ve treated myself to both, which is perhaps a little ostentatious, but I’ve been feeling a bit down following a relationship break-up, so they’ve taken my mind off things. Some more kits have been announced, which is both very exciting and very scary – not just because of the cost, of course, but also because I’m not convinced I’m all that skilled at painting these things yet! However, I think I’m going to have a rest for the time being. I have a lot of model kits at the minute, including the aforementioned Nagash and the Mortarchs, to keep me going for a long time yet! Reflecting on all of this, it seems funny to think it all started because I was concerned about having to learn how to put together Shadows of Brimstone. Barely a month on, and I’m seemingly obsessed with this plastic crack! Well, it keeps me off the streets. I have no idea whether I’ll ever get into playing the game – though my local GW store is full of really friendly folks, so if I do decide to get into it, I’ll know where to go – but I’ve been really enjoying myself with assembling and painting these models. Some of the finished results are really good (even if I do say so myself! ), but I’ve also really enjoyed the process of it all, and the whole learning new skills thing. I’m still reading The Tamuli, the second trilogy by David Eddings that I’d started reading a while ago. Not that I’m not enjoying it, of course, but it seems that I never really have the time to properly sit down with it and read. I’m approaching the end of the second book, The Shining Ones, and have been enjoying the twists and intrigue so far. However, I can’t help but feel that I want to return to Star Wars. I took delivery of the Kenobi paperback this morning, and everything I’ve heard about that book has been nothing but good. However, I’m also mindful that I was in the midst of my New Republic re-read, and would also like to get back into that. Oh, decisions! So yeah. There have been some interesting previews for games recently, such as this look at the upcoming Saga expansion for Lord of the Rings LCG, and of course, the apocalyptic RPG series I featured last week. However, there hasn’t been an awful lot coming from FFG since the releases discussed around GenCon. Something I find quite peculiar, actually, is that pretty much all of the games/expansions announced at GenCon have now been previewed, except for the upcoming Battlelore expansions. I’d have thought we’d have seen something official on those by now. Hm. I’ll leave you all with this, anyway. 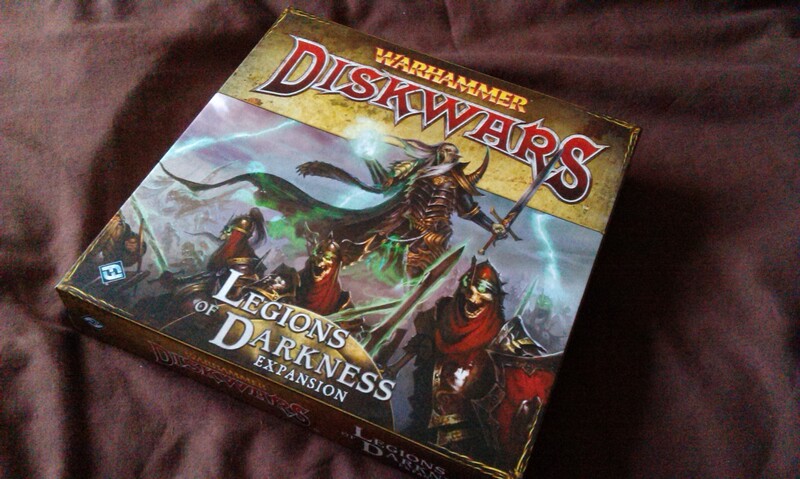 I don’t play any of the Warhammer 40k RPGs, but I thought the picture from this announcement looked really cool! Next Next post: Ah, Necrons!